Closing date for online entries is 17th January 2013 at 5pm. 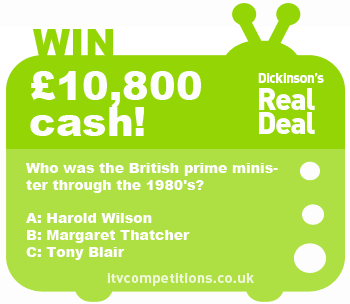 Who was the British prime minister through the 1980’s? Enter the Real Deal competition three times per phone number!